Observation - Common Gorse, Yarmouth, Isle of Wight - UK and Ireland. 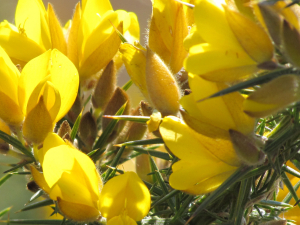 Description: A lovely sight to see this Gorse contrasting with a deep blue sky last Saturday.A common and widespread plant on the Isle of Wight,where the local name is Vuzz or Vuzzen bush. A lovely sight to see this Gorse contrasting with a deep blue sky last Saturday.A common and widespread plant on the Isle of Wight,where the local name is Vuzz or Vuzzen bush.